WANT to grow their revenue. If you meet both of those requirements, I PROMISE that meeting with me will be eye opening at the very least and quite profitable/time saving at best. Google, Bing, Yahoo, Yelp, Facebook, maybe Instagram, maybe TripAdvisor and many, many more companies and services have the power to send you life changing amounts of business if only used properly. I find that most companies feel like they don’t know what to do because 1. It is confusing as hell as to which is the right way to do things and 2. They get scammed called 5+ times a day from some robocaller telling them that their “Google business listing is in jeopardy of not displaying correctly” or “may be inactive” and are trigger shy on making a move. Total scam and I've helped many people get out of it. I’ve been doing national ecommerce for over 20 years and now I’m focusing on local businesses because I know I can help and there is such a need to get this done right. I am a local entrepreneur and have been for a long time. We all use our businesses to provide for ourselves, our family, our children and our employees/coworkers. It is a huge responsibility and I want to help and work with those that see the benefit of working with a professional and doing it right for the benefit of all concerned. I see so much money being wasted on expensive, non-performing advertising and this is something I can help you with. Would it be out of line to invest 15 minutes of your time to talk? So Facebook is down and seemingly much more on the business side. I thought I would take a quick moment to make an introductory video and let you know how I could possibly help you out. If this sounds like you, let's have a 10 minute chat and see if this might work out for the both of us. We all need to take care of the "online stuff" but, it is not very easy and is extremely time consuming. I offer a 110% guarantee and I want you to know that this is something that you will be able to count on to help bring your business to the next level. If you are just starting out or are spending $20,000/month on Google Ads, I can make a big difference in the cornerstone piece of the puzzle for you. So you opened your email and you got a bad review on Google or Facebook or Yelp or anywhere else. We work really hard as business owners to put our time and effort into the company that we built from the ground up and one day some crabby person that probably isn't being reasonable besides to put a negative review out there letting the world know all about there oftentimes very temporary opinion. Depending on how many reviews you have, one negative review can taint your ratings. There are ways to work this system to your advantage to maintain your online reputation and credibility. I recommend you take the following steps. A one or two star or even a fraudulent review may spur you to actions that you may later regret. Don't give into the temptation. A bad review is not even close to being the end of the world. Every company has gotten a bad review and I find it very helpful to do what I'm going to tell you in the next section. You need to look at this situation objectively. Is the review real? Did something break in your process? Is it legitimate? If the review is fraudulent and we see this quite a bit, make sure you flag the review for removal. There is usually an opportunity to do so. However do not do this if the review is legitimate as it will only hurt your credibility with Google or Facebook or Yelp or other services. If the review is legitimate Then I highly recommend you do something that is probably opposite of what you're thinking. Celebrate. Enjoy the fact that somebody found a chink in your armor.Companies like human beings do not learn from always being correct. We learn from adversity and we learn from our failures. Use the opportunity to fix your systems and find out what's going wrong. In fact I recommend people do this regularly without the aid of reviews. Try and find out what's going wrong and you will be among the Elite in the business community. first try and get in touch with this customer my looking through your internal systems. Nothing beats a face-to-face or phone call. If you can't do that then you need to reply to the review and ask them to reach out to you. This is your opportunity to gain a lifelong customer. People that complain the loudest will also sing your praises the loudest if you convert them into being a lifelong fan. This should be your ultimate goal. Of course, try and get them to remove the bad review but convert them into someone that would never go anywhere else. Look at this as a last attempt at gaining a customer for life. Everyone that goes about it in this way wins all the time in the end. Not every person but, you win at business. As I stated in the previous section it is very important that you reach up quickly and thoroughly but what does it take to solve the problem with a customer. This is psychology. I'm not saying that this person might not just be a jerk but more than likely they were hurt in such a manner that they felt it necessary to go out and tell the world. That means that ultimately speaking you or somebody else screwed up pretty badly and made them feel unimportant. This is your opportunity to fix it. Make them feel important. Make them feel appreciated and wanted. You don't have to give away the farm. In fact most people see coupons, discounts and gift certificates as a slap in the face. Ask them what happened. Be honest. Be open. After all, this is your opportunity to find out what happened in your business to make sure that it never happens again. We live in a reality TV based world at this point so don't be afraid to let them in to see what's cooking in the kitchen. Let them know that their input can help things so that this never happens again. Be real. Be personable. I want you to stay on top of your reviews. As a business owner this is one thing that you can do quite well. Of course we want to drowned out any negative reviews with positive reviews but the curation of these reviews is ultimately influenced by ownership and management. Get on board and embrace the review system. It will only work out to your advantage. I highly suggest people schedule and spend 5 to 10 minutes per week curating good reviews and if you do that you shouldn't have to do much work at all on the negative reviews. When they do pop-up, handle them immediately. Every time I speak with a potential customer, I let them know that the internet is not going away. Small business / big business / medium business - doesn't matter. This needs to get taken care of. You will either do it now or play catch up later. Areté & Eudaimonia in all things. Wisconsin's Best & Most Effective digital visibility/marketing expert. "Go the extra mile. It is never crowded." How to get more followers and visibility. 2 tips. Here’s a quick way to increase the number of followers that you have as well as get some free reach. Have a "No Guns Allowed" sign on your business? You should watch this. Although I'm sure I compose way more social media posts then you do, it is extremely frustrating to come up with ideas at times. Especially ideas that work. After all, the whole reason why we use Facebook, Google+, Twitter and more is so that we can make more sales. Here's a list of ideas that I have curated overtime and work very well. A big point with this is that if you are doing this for your business make sure that you have some sort of action in it. You don't always want to sell and be "that guy" but you do want to offer options and conversions for people that care about your message. I would also add, be real. People's BS radar is stronger than ever. If you don't have something real to say, that's fine but, don't fake it. So let's get to it. Here are my notes for post ideas that get engagement. So if I haven't spoken to you in person this is your additional notification that Facebook is nothing more than an advertising platform for businesses. 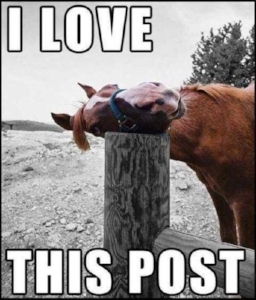 In my experience even if you have a large following maybe you'll get 15% reach with any posts that you put up. 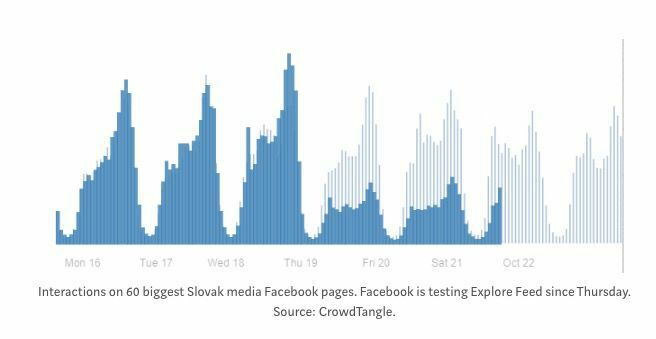 Last week, Facebook officially launched its secondary Newsfeed called Explorer. The feed generally features posts from Pages users don't follow. News feed on the other hand host post from friends and pages that you do follow. That's not true for everyone though. In six markets they have remove posts from pages in the original Newsfeed and relegated them to another feed. That means that Publishers are being forced to pay. So what does that mean for you? Probably not much other than the fact that if you are thinking Facebook is a free way to get in front of your customers and reach them with your message, you should probably rethink your strategy. Facebook is an outstanding resource for paid advertisements. Put something out there that people will click on and relates to your business. You should look at this as a pay-per-click advertising platform. I advise my clients to figure out how much each new customer is worth and then we look at customer acquisition costs to determine how much we should spend and the success level of our advertisements. 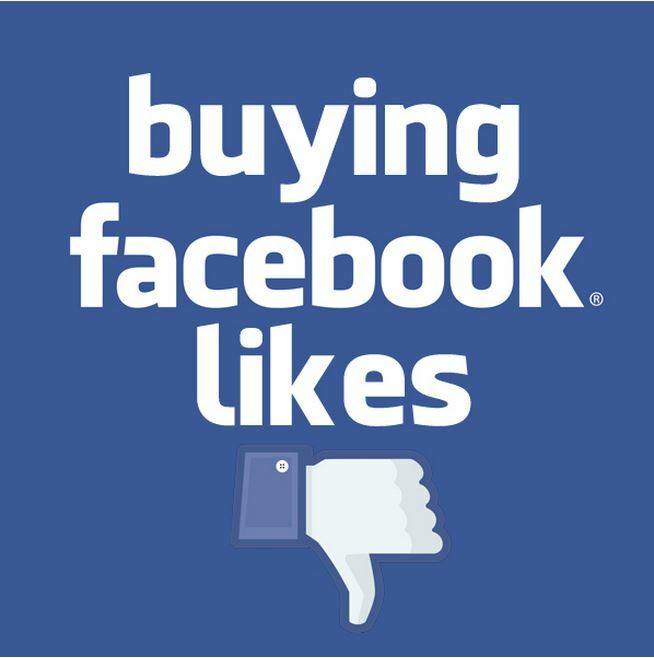 Good luck out there and stop spending your money to get LIKES. It just isn't worth it. 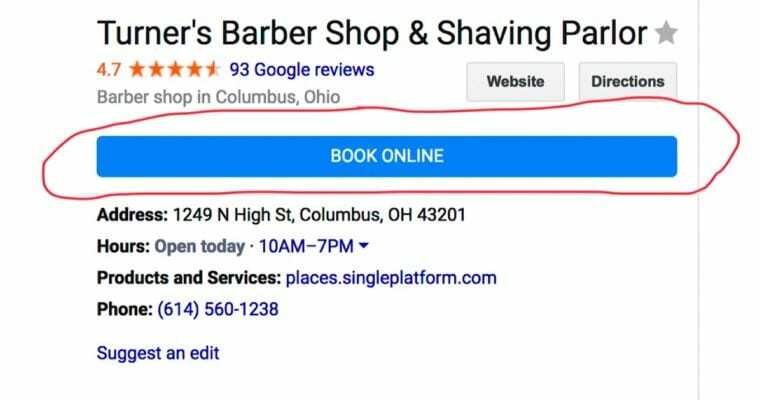 Google is going to be coming out with a new booking button for Google My Business that will allow businesses to take bookings / appointments directly. A booking or appointment button can definitely help your business stand out from the crowd. The new booking button is said to allow for customers to book an appointment in under 1 minute. This will create an easier booking experience that could help you result in more customers. The administration section of the Google my business interface will allow you to track how many bookings you get. If you have an account with a supported service provider then your booking button it should already be added to your listing. Google will prompt you to sign up for an account with a supportive service provider if you haven't already. After you have signed up with a supported service you can expect to see a booking button in your Google my business account within a few days. This new service should be available over the next few days. As a small business owner your time revolves around finding clients so that you can offer the service or products that will make their lives better. How do we reach these people? As I'm sure you know the internet is one of the best ways to make that happen. There are plenty of ways to source potential clients online. Many of the same techniques and strategies that have worked for decades like paid marketing have grown and adapted to the effective methods to use an online spaces. But there is one other technique, while perhaps not necessary, has outstanding abilities to support any marketing campaign and that is search engine optimization. Search engine optimization or SEO for short is a collection of techniques designed to make it easier for businesses to be found in search engine results. The better your SEO, the more likely your business is going to show up in the top results. That means more phone calls, visits and appointments for you. Millions of words have been written about search engine optimization over the years so I'm not going to go over it again here but what I will say is that there are certain types of SEO practices that can have major impact on your online marketing efforts, driving potential clients and sales to you. In fact there's one type of search engine optimization that it's free, easy and highly effective. Local search engine optimization is just one specific subset of search engine optimization techniques. It's pretty straightforward. It involves making sure that individuals using Google, Bing and other search engines to help find location based services and businesses like yours. This is incredibly important for local businesses. Optimizing your services for local searches is almost foolproof. Services like Google My Business provide free opportunities to list your company website and the name, address and phone number. This means our company details will show up in searches Of people looking for your services or products. After all, Google is the 800-pound gorilla in the room When it comes to search engines. There are some pitfalls to avoid when it comes to using local search engine optimization properly. A little diligence on your part ensures the details of your website address, local address and phone number are accurate. While it's easy to avoid these mistakes, it is extremely crucial that you do. Inconsistent listings will rank your business lower. Is it a good idea to get outside help? There's a lot of clutter on the internet and when it comes to marketing your business properly sometimes making it almost impossible to do so. For example, search engine optimization is a generic term that people throw around. The true benefits of SEO happen with big national websites rather than local businesses. However there are a lot of other areas that diligence and expertise can be applied to your local business to bring you more views, visibility and ultimately Revenue. This is what I do and the clients that work with me and buy into the coaching that I give them end up doing quite well. The field is only going to get more crowded and more competitive. In my opinion, it's nice to get a head start when it's going to be a long race. Want a sneak peak at what it will look like for you? Try a Google search for “chicago plumber” “houston attorney”. This is how you will need to stand out sooner rather than later. Are you new to local search? Have questions as to where to start? Here are four tactics to help you kick off your local SEO efforts. If you followed any search engine optimization strategies for any. Of time you know one thing and that is that search engine optimization changes on a regular basis. When it comes to local SEO it is more important than ever for you to optimize your on-site and off-site strategies for your clients and customers when they are searching for local businesses. Local competition is getting more stiff and if you're not on top of your rankings in the search engines you can rest assured that your competitors will be. Title and meta description tags are HTML elements that you can use to reflect the content of your web page. The text of your title and description tags is displayed in research results. Think of these as many ads that you can carefully craft and use to your advantage. Last year Google increase the width of the main search results area to 600 pixels. Generally acceptable length for title tags are usually 50 to 60 characters and descriptions eggs can be approximately 160 to 200 characters. Take advantage of this space. Make sure that you double check that your titles and descriptions display fully in the search results. If you want to reach local customers make sure that you include the city your business is in or the area that your business serves. Remember if your business shows up in the results you have only one shot to get the person to click your link. You don't want to screw it up by having poorly worded tags. According to Google roughly 80% of consumers use search engines to conduct local searches. However, many small businesses have not even claimed their local business on directories online which is missing a huge opportunity. It is critically important to get your business listed correctly by having the right address, phone numbers, website URL and branding. Yelp, Merchants Circle, citysearch, Yellow Pages, all of these are free listings for your business. Computers love data that is correct so make sure that everywhere has the same data. Don't leave this up to chance and be proactive. 3. Google My Business. Possibly the most important thing to do first. Although Google My Business is considered a directory it's a lot more than that because Google claims 67% search engine market share As of the time that I am writing this. How often do you do searches for local businesses with Google? Who do you call? Has it ever been anyone on the 2nd, 3rd or 4th pages? I don't think so. Go look yourself up on Google and if you haven't claimed your listing do so immediately. From there you can follow the directions that Google offers. this is an outstanding place to start to get your business online, branded and looking great to the world. Businesses are finally starting to realize that reviews are pretty important. If you are presented with two products and one of them has a 5-star rating and another has 0 Stars or negative reviews which one are you going to choose? How about a business that has 50 reviews Versus the business that only has 5 reviews? I've started a separate service that works directly on this problem. Business owners need to get involved in this process and need to motivate their staff. Very important to do. What is marketing call tracking and why should I care at all? In order to advertise successfully you need to understand what's happening. Very few small businesses that I work with get this concept. Or at least get it to the point where it actually makes a difference in the decisions that they make. That's a shame because so many companies are taking advantage of your lack of time and are forcing you into situations that waste your money. so let's get into it. Call tracking is a method to track your inbound phone calls. Let's say your business has a telephone number and it's used in multiple different areas. 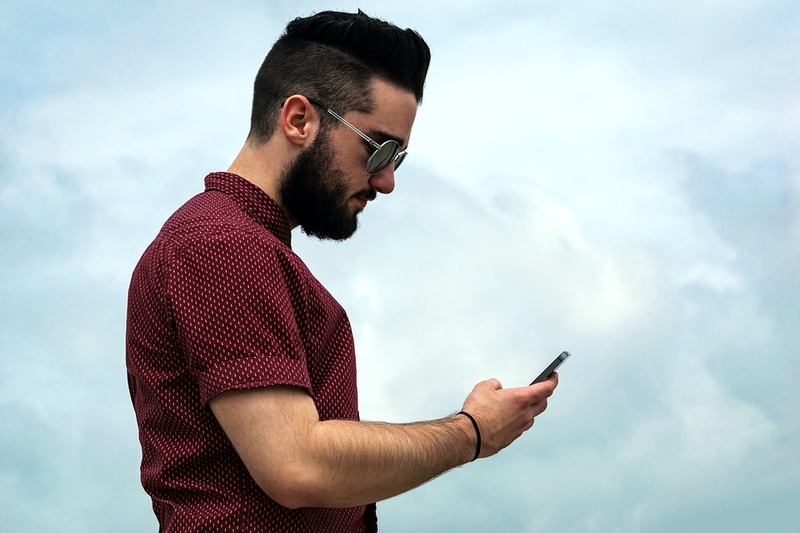 If one of your main ways of generating leads is people calling you, as it is with many businesses, then you need to know where those phone calls are coming from. Billboards are expensive. Magazine ads are expensive. Yellow Pages, God help you if you're still using those, are expensive. You need to know where the phone calls are coming from so that when you're thousands of dollars are being spent on Advertising you can make the appropriate decisions to determine which ones are working and which ones are not. sure you can ask your colors where they saw your add but it's not nearly as effective as hard data. So if you spent $2,000 on your billboard and it gave you 5 phone calls and you spent $500 on some online advertising and it gave you 15 phone calls... What are you going to do? Where would you really put your money? How to get reviews for your business! I'm not putting down all of the advertising methods because for many businesses they work wonderfully but, for most businesses they do not. One of the nice things about call tracking is that it is inexpensive. Just reading off of one of the pricing sheets of a major provider, for $30 a month you can get 10 local phone numbers, up to 500 minutes of voice recording, live dashboards and more. Is that worth it to help break down your advertising spend and its effectiveness? I think it's a no-brainer. Here's a demo. No affiliation...just information. 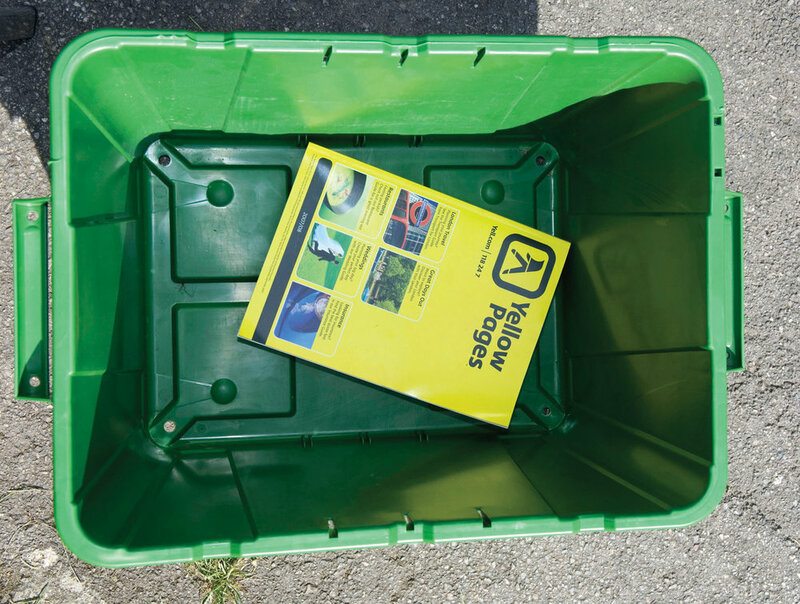 Are you still paying for an ad in the yellow pages? Read this now. If you are paying for an ad in the Yellow Pages let me help you save hundreds if not thousands of dollars per year. As business owners we often get sidetracked into doing things the same way just because we've done them that way in the past. I have yet to run across a business that gets more sales out of their advertising spend then they would in other areas. It's time to declare this a dead medium. I will admit that there are a few businesses that still May benefit but, those are so few and far between that I'm not even going to bother mentioning them in this article. So what should you do with your extra money? For starters, I would suggest giving me a call. I know I could spend your money much better than the Yellow Pages will. However if you're not ready to work with a professional to help get your business moving in the right direction I may suggest just the generic terms of online advertising or even a more targeted review of what you have going on already. What should I do with all the money I'm saving? Marketing tracking numbers are numbers that you rent and they report back to you on how often they are used and may even offer voice recording and other options. Pretty cool stuff to help determine which campaigns, yellow page ads, billboard ads and the like are actually working for you or not. Years ago you either made the yellow page ad deadline or you are kind of screwed for the year. That's not the case anymore. Save your money. Advertise the smart way. 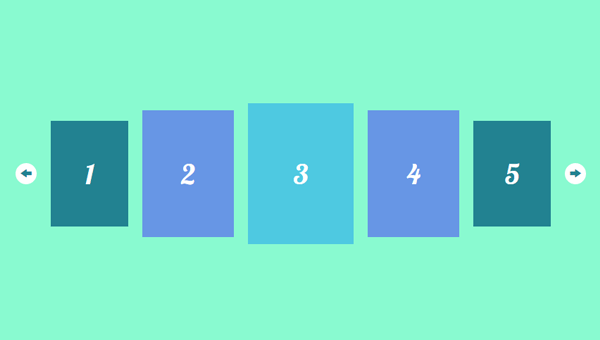 Do you have an image carousel on your website? If you have an image carousel on your website I recommend that you remove it or at the very least think seriously about removing it. If you don't know what an image carousel is, it's the part of the web page that you see on so many websites that offers rotating images. They look pretty. So what's your problem with these? My problem is that I believe websites exist for the purpose of creating conversions. Leads. Sales. Phone calls. Image carousels do not create a conversions. Testing shows that image carousels offer lower conversions than without. I'm talking about the science of usability. That is the continuous testing of different aspects of a website or products in order to achieve the most usable function. Most websites that I deal with have a website that requires two functions. First is to provide a quick and easy method of getting in touch with the business and second is to provide a sense of professionalism and security that one would gain by doing business with a company that has a nice looking website. For example, if you have a restaurant website what do you want to have happen? Maybe have someone call. Get directions. Show the menu and not a whole lot more. You not going to be competing on a national level with search engine optimization so my point is get to the point quickly and effectively for your customers. Show them the information they need and want with as few distractions as possible. Image carousels maybe great for photographers but I don't think it fits the bill for most businesses. So here's what I want you to do. Think about what your customer wants to see when they arrive at your website. Provide them that information succinctly and beautifully. I think you'll find that in most cases and image carousel does not fit with that goal. Getting reviews is one of the more challenging aspects of running the online side of business. First you have to realize how critically important it is to get reviews because it is one of the main determining factors of online search engines as to where to display your business. Go look up pizza in your area once. Do the ones with all the good reviews come up first or do they come up last? I think you'll find that the businesses with no online interaction come up at the bottom of the searches. You don't want to be there. this will help keep you running smoothly and efficiently. It is a proven way to get more reviews. People often need a reason to do something though. This next part offers just one of those types of reasons. 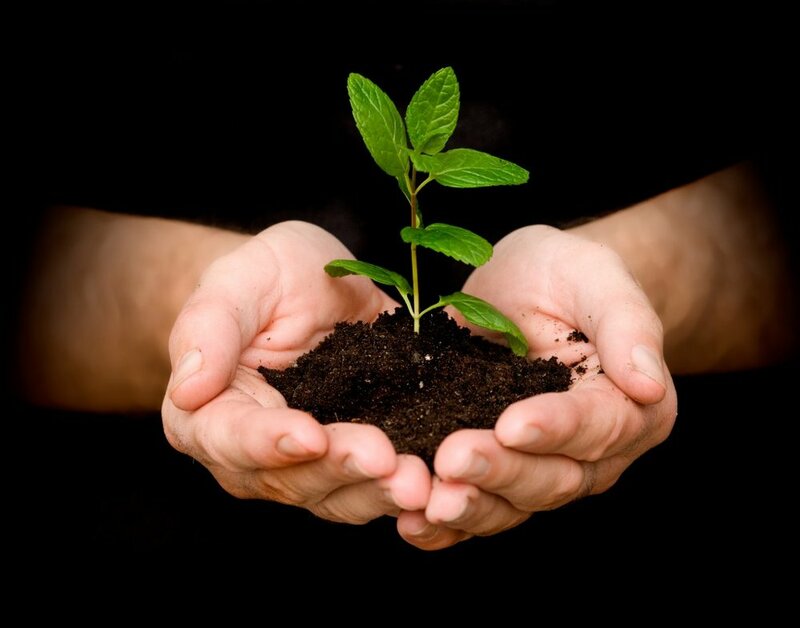 Leave us a good review and we will have a tree planted for doing it. Personally, I think people are motivated by Good Intentions and altruistic thoughts. You can help that along by offering a program like this.